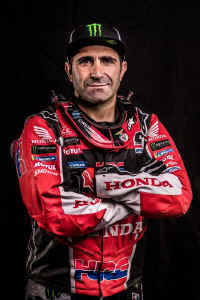 Monster Energy Honda Team’s Portuguese rider Paulo Gonçalves has clinched the overall victory in the Desafío Ruta 40, the fourth round of the FIM Cross-Country Rallies World Championship. Ricky Brabec finished fifth. 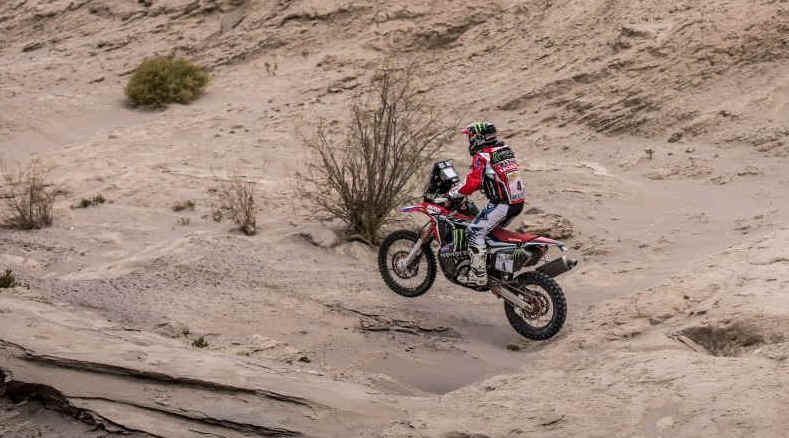 The final stage of the Desafío Ruta 40, from Villa Union to San Juan, which featured two hundred kilometres of special timed stage, concluded to the joy of Paulo Gonçalves and the entire Monster Energy Honda Team. The squad romped to a final triumph in the race after five days of merciless Argentine desert. The Portuguese rider posted second on the final day, after 17:06:02 in the saddle, to claim the top step of the podium in what will go down as one of the toughest ever rallies. Ricky Brabec finished the Desafío Ruta 40 in fifth overall position, with the American taking the fourth fastest time on the day, some five minutes behind the stage winner. The next race for Monster Energy Honda Team will be the Desafio Inca in September, held from 13th to 16th, which will take place in the Ica region of Peru. I am very happy with the victory here in Argentina. I came with the idea of continuing to improve my pace after a long time without racing and in the end we were able to win the rally. I think yesterday's stage was the key day. Today was a stretch with some navigation and I tried to use the advantage I had, but I think I managed to stay quite relaxed. I am happy for myself, and also for all my team-mates and for the guys who got injured, Kevin and Mathias Bellino – we hope they can recover quickly. This victory is for them too. 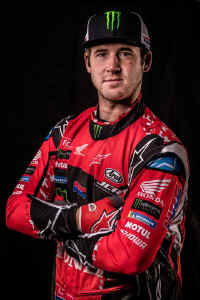 We will now try to improve the pace a bit to get the Dakar right. The race in general was tough, but that second day was too much. From the physical point of view it has been a great test for me. The rivals are very strong and that forced us to give our best to win. The rally is over. The team did a great job. I’m happy to be here in San Juan. The day for me was okay. It was a really fast day with not so much navigation, which made it that much quicker. We were riding for two hours or maybe two-and-a-half hours. We’re looking forward to the next rallies and we are particularly excited about Peru next weeks. We’ll make a push for Dakar. I want to give also a support message to our injured riders in this race: Kevin and Mathias Bellino.